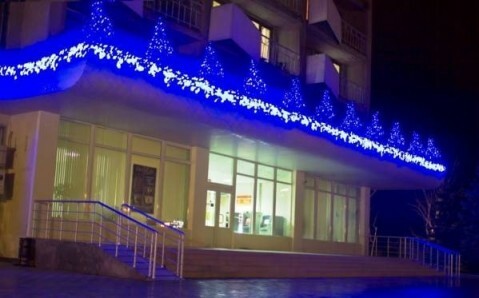 This hotel is in the resort town of Odessa, just a 10-minute drive from Arcady’s Beach. Comfortably furnished, air conditioned rooms at the Mirniy Resort feature a TV, electric teakettle, balcony and bathroom with hairdryer. Some feature a dining area with microwave, refrigerator and minibar. 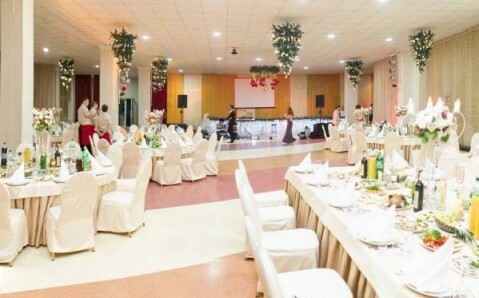 Traditional food from the Odessa region can be enjoyed in the Mirniy’s elegant dining hall. Drinks are served at the bar. Facilities include air-conditioning, safe and baggage storage at the 24-hour front desk. A hairdressers and beauty shop is also on site at the Odessa Mirniy. The historic Privoz Market and Odessa-Malaya Train Station are all 3 miles from the Mirniy Resort Odessa. 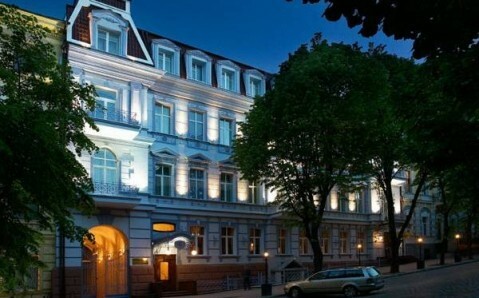 Guests can reach Odessa Port in 12 minutes by car, overlooking the Potemkin Stairs and Vorontsov's Palace.